Ford will soon launch two new variants of the EcoSport in the market. The new vehicles will be launched on the 14th of May in the Indian market. 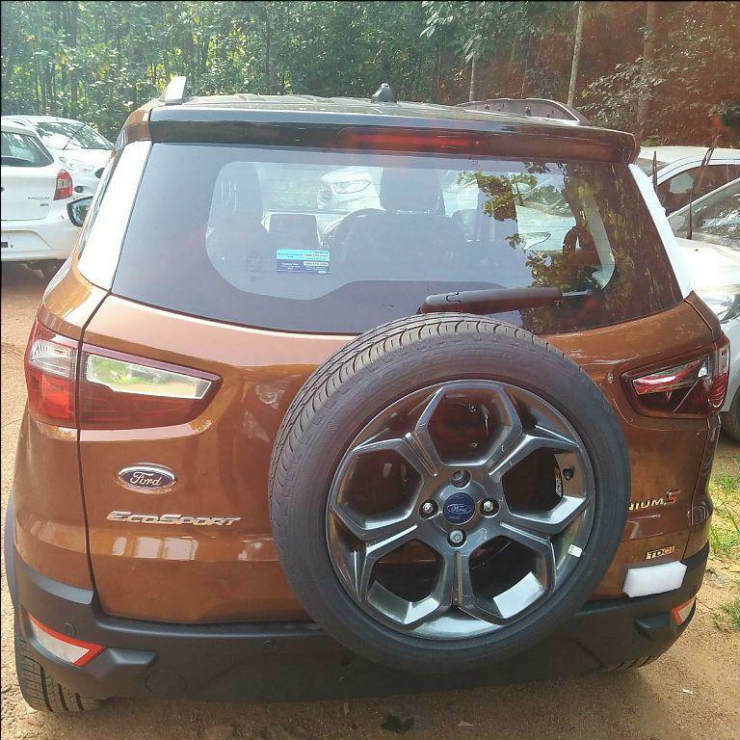 The latest pictures of both the upcoming variants of the Ford EcoSport show the cars parked at a dealership stockyard. Ford will launch both the vehicles together in the market to further push the EcoSport’s popularity in the segment. 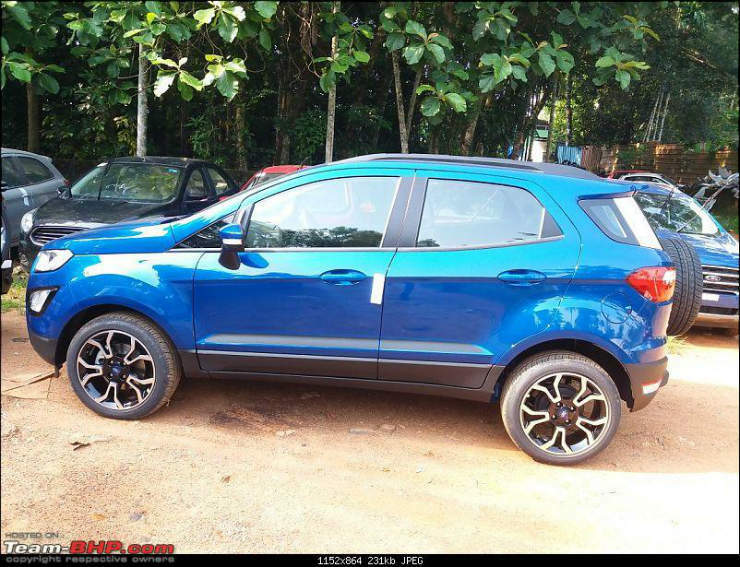 The Ford EcoSport Titanium S will be the most expensive variant in the line-up. It will get standard 17-inch alloy wheels, an electric sunroof, smoked headlamps with HID lamps, smoked foglamps, de-chromed grille and dual tone paint finish on the roof and the ORVMs. 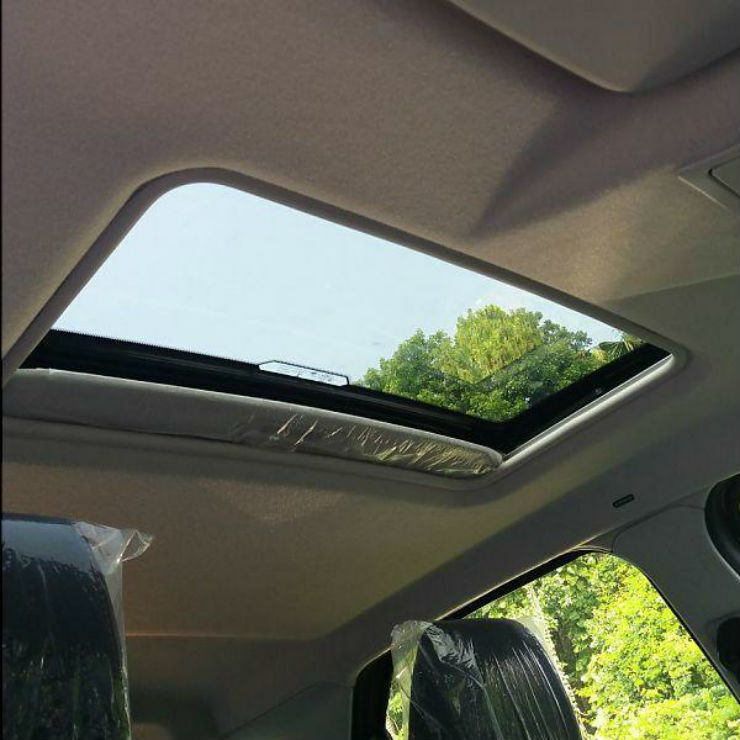 The car will also get updated interiors. 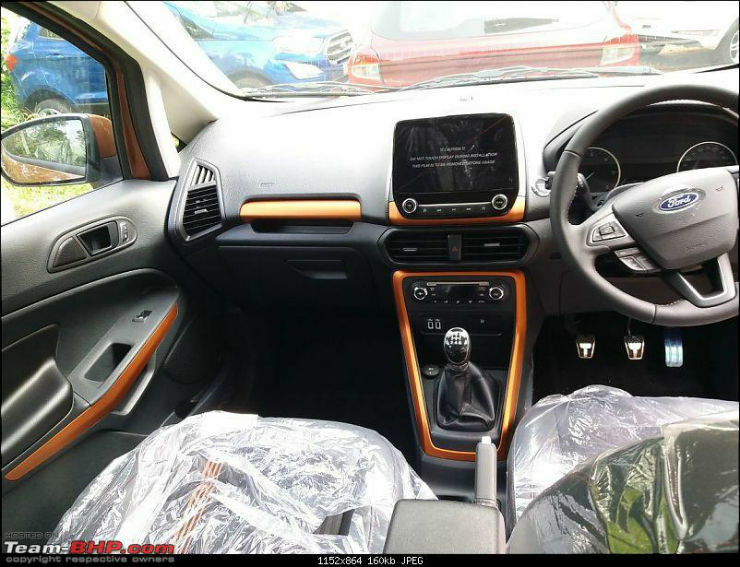 The sub 4-meter compact SUV will get orange accents on the door handles, infotainment screen base, central console, and the glovebox compartment. To differentiate it from the regular variants, a new “S” badge can also be seen on the interiors. The car will get a 4.2-inch infotainment system with SYNC3 interface. 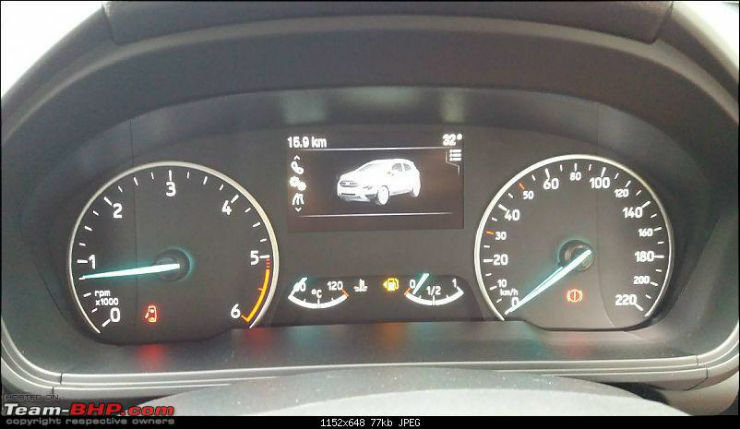 It will also get a Tyre Pressure Monitoring System (TPMS), which is a segment-first feature. Ford will also launch the Signature Edition with a few visual updates. The Signature Edition will also get the 17-inch wheels. 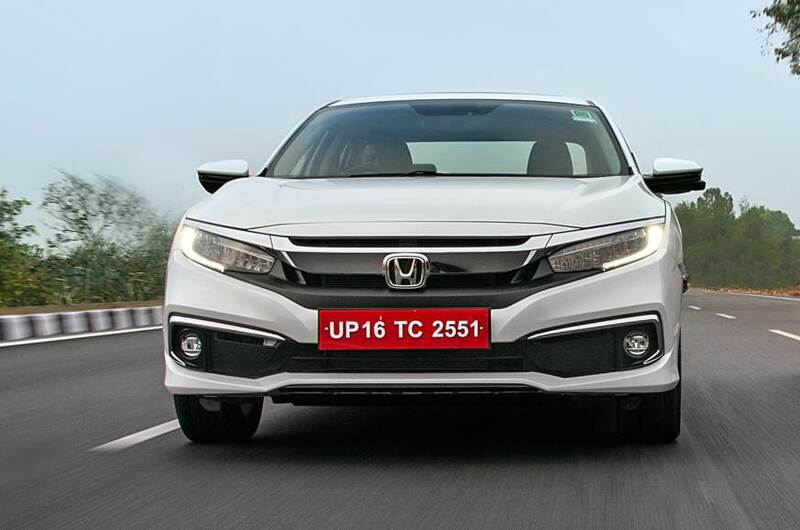 Interestingly, the Titanium+ variant will no longer offer the 17-inch wheels and will only offer 16-inch ones like all the other variants of the vehicle. 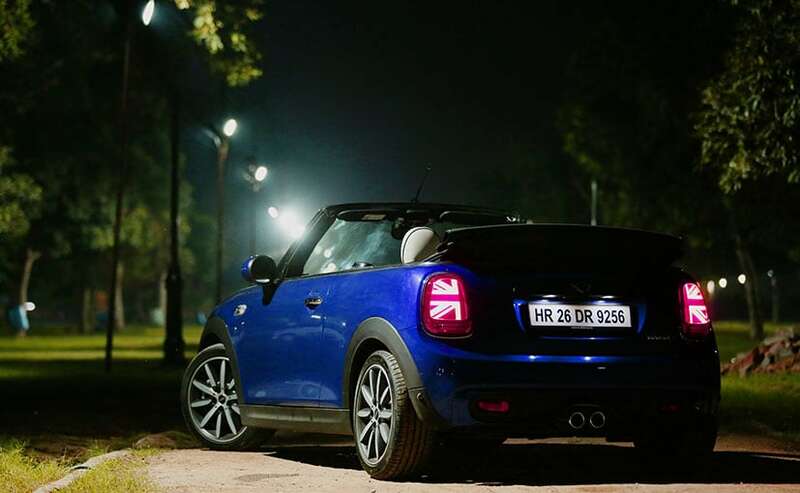 The Signature Edition will also get body spoilers that will add a sportier look. Also, the variant will get contrasting stitching and features like Electronic Stability Control (ESC) and Hill Launch Assist (HLA). The Ford EcoSport Titanium S variant will get a 1.0-litre three-cylinder turbocharged petrol engine that generates around 125 Bhp and 170 Nm. It will get a six-speed transmission while the Signature Edition will continue to use the 1.5-litre naturally aspirated three-cylinder petrol engine that generates a maximum of 121 Bhp, and a 1.5 litre diesel engine with 98.6 Bhp-215 Nm. 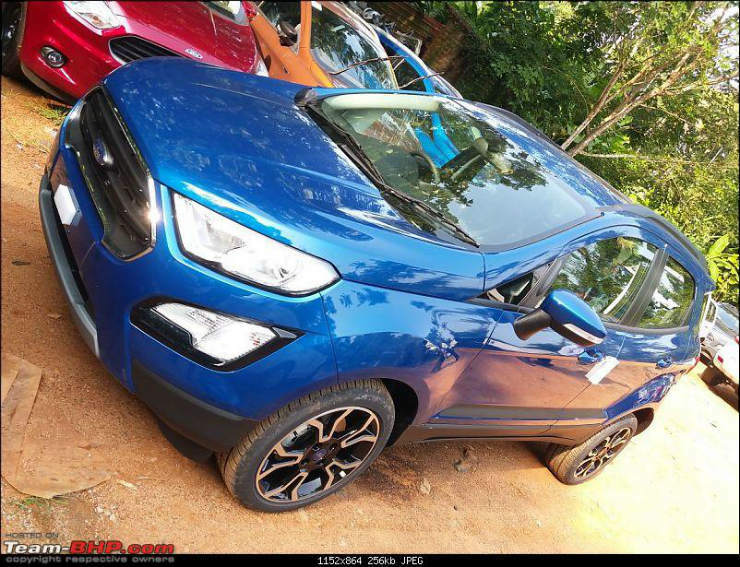 The EcoSport S is expected to get a sharper steering feedback and stiffer suspension.